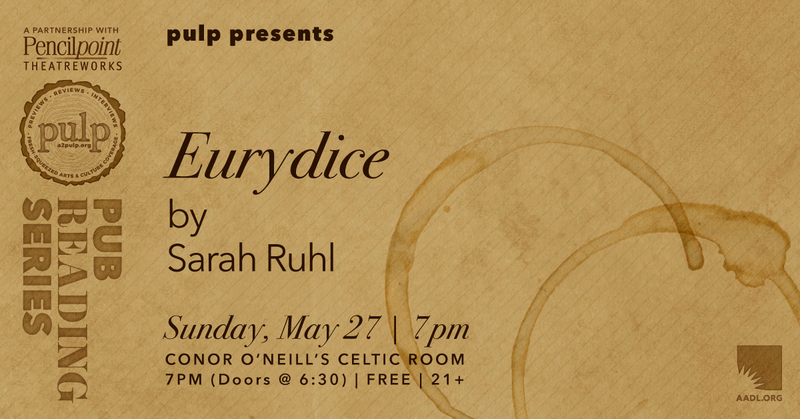 The AADL in partnership with Conor O'Neill's is hosting a pub reading series on the 4th Sunday of the month through July. These are a series of staged readings of some really cool plays. 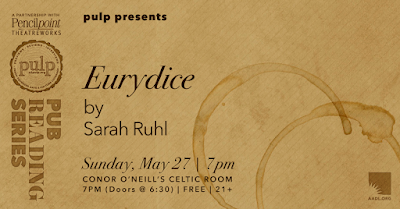 This Sunday there will be a performance of Eurydice, which has been described as "sort of like Alice-in-Wonderland if Alice went and reconnected with her dad in the underworld." Doors are at 6:30 and the performance starts at 7. Sounds like a fun event. Here the lighting is a little brighter than lounge setting, and you can sit at one of their many tables, or grab a seat by the bar. With a large menu of beers, you might have trouble picking just one. The music at these venues in Chicago is always upbeat with a mixture of rock and pop, and the food menu is large as well as their seating.